Has Jamie got a new girlfriend? 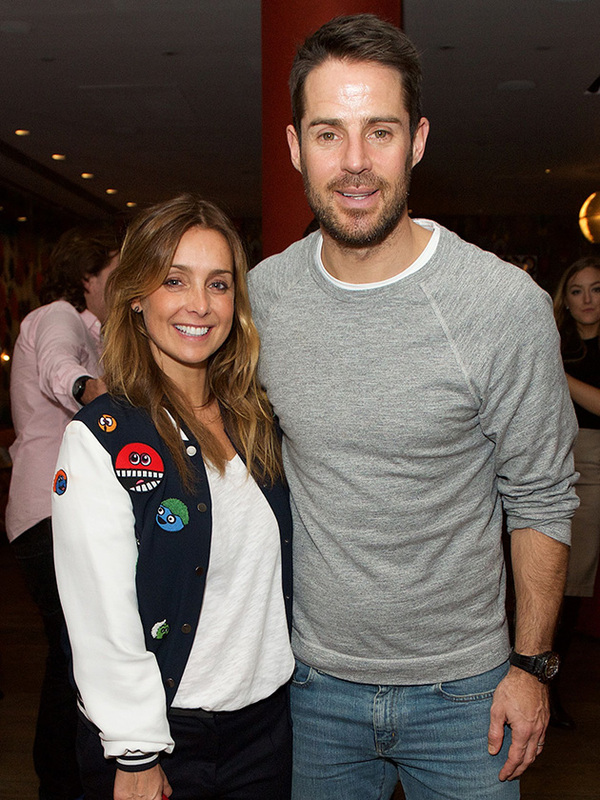 Jamie Redknapp was spotted on a night out with a mystery woman this weekend – and she seems to bare a resemblance to his ex-wife Louise Redknapp. The 45-year-old football star, who divorced Louise, 44, after 19 years of marriage in 2017, was pictured cosying up to the mystery lady in the back of a taxi, after enjoying a night at exclusive Mayfair club, Annabels, on Saturday. With long, brunette waves similar to Louise’s and looking uber-glam, Jamie’s backseat companion looks strikingly similar to his pop star ex. Meanwhile – in photos obtained by the The Sun – Jamie looked suave in a smart, navy suit with matching tie. Although there’s no suggestion Jamie is dating the unnamed woman, that hasn’t stopped fans jumping to conclusions! This intimate night out comes after mum-of-two Louise admitted she struggled with self-esteem issues during her marriage to Jamie. The former Eternal star claimed it was ‘easy to blame’ her hubby, confessing she wishes she had spoken about her struggles sooner. Speaking to YOU Magazine, she explained: ‘I wish, three years ago, I’d been able to just speak up. For a long time it was easy to blame him. Despite her wavering confidence, the Strictly Come Dancing star is set to re-launch her singing career this year, boasting the release of new single Stretch on Instagram.